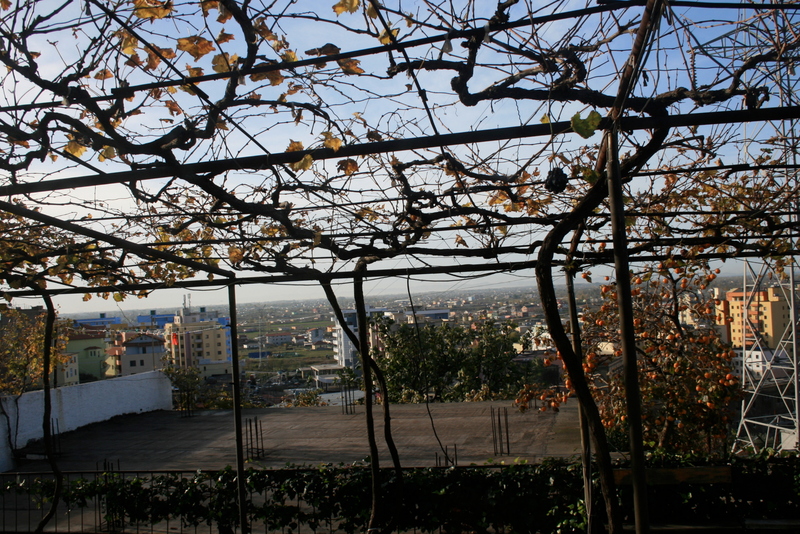 The November view from my kitchen window complete with persimmons and falling grape leaves. 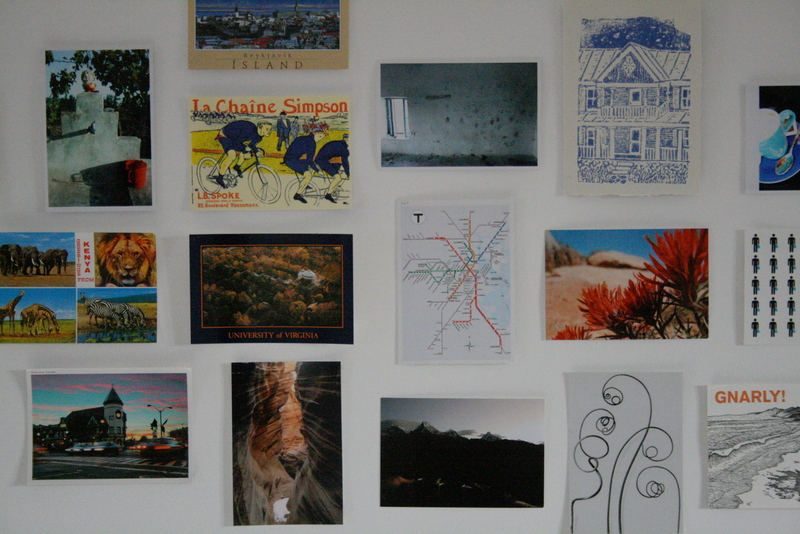 My growing wall of postcards and photographs. The Bashkia bulletin I worked on this summer! It was finally printed after much inter-office and printer political BS. Because of that it is a little out of date, BUT is mostly my design work and is much preferable to the previous version which looked like a book and was very inaccessible to the general public. 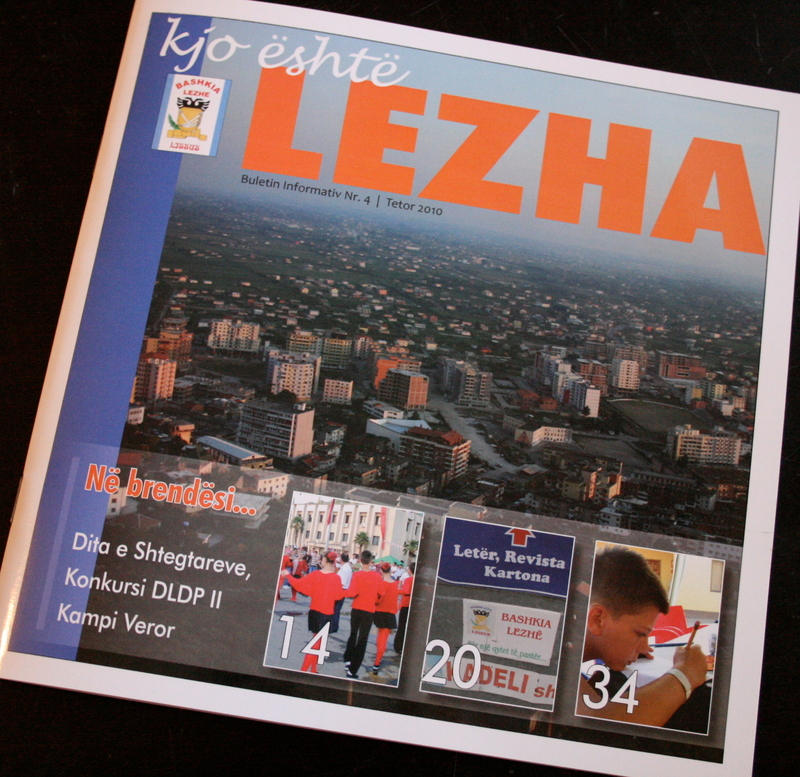 Includes a calendar of events (new to the Bashkia) and lots of photographs. Mirë! That’s a lovely view from your kitchen, but my guess is that it’s a tad greener in spring? Thanks for posting photos of Albania. It helps me get a taste of this country’s culture.